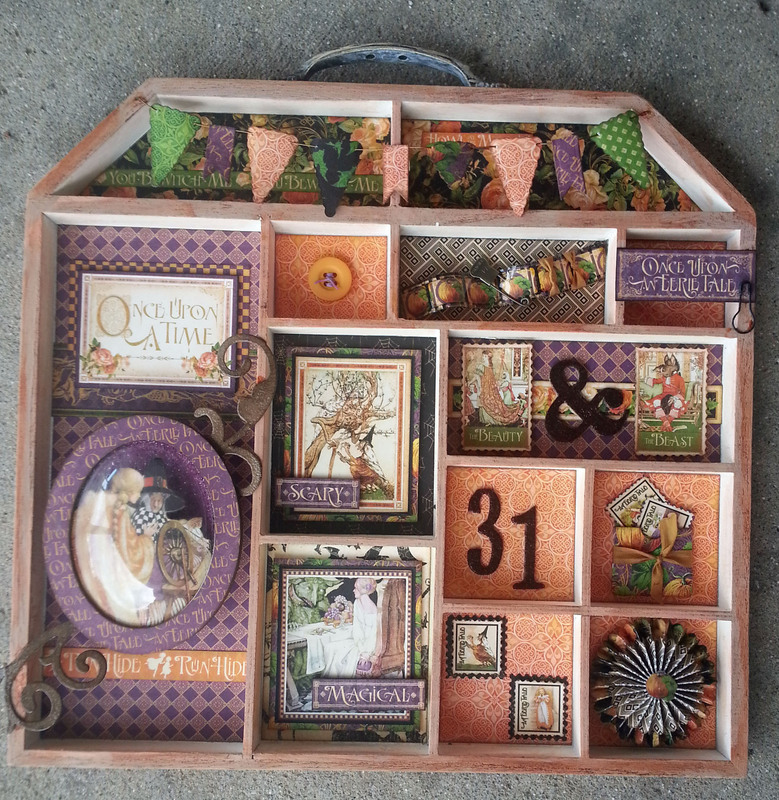 Got my hands on this little Altered Doll House by Prima last week and decided to use Graphic 45’s An Eerie Tale to create a little Halloween home decor. It came together so easily and quickly especially with the use of Xyron! 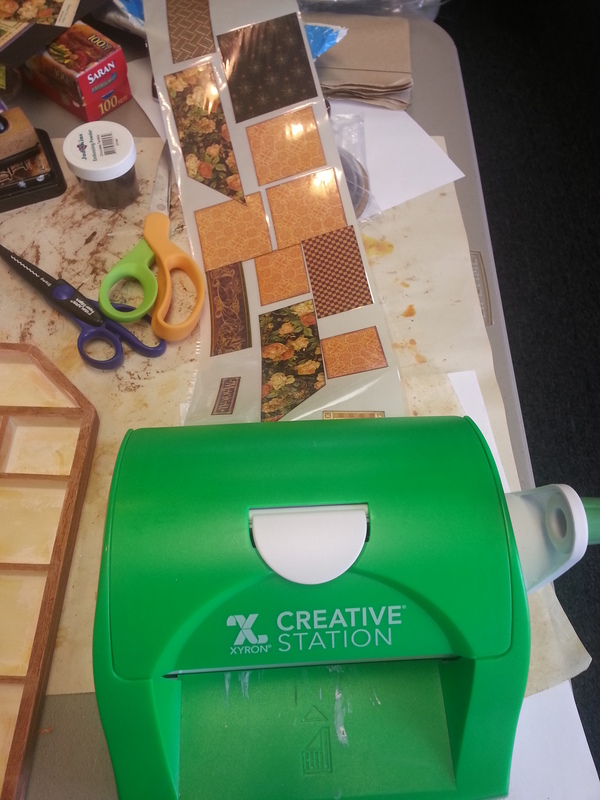 I began by measuring each square and rectangle then selected papers from An Eerie Tale 8X8 paper pad and cut to fit. Edges were inked then run through my Xyron 5″ Creative Station to put a solid coverage of adhesive on the backsides and stuck them down. 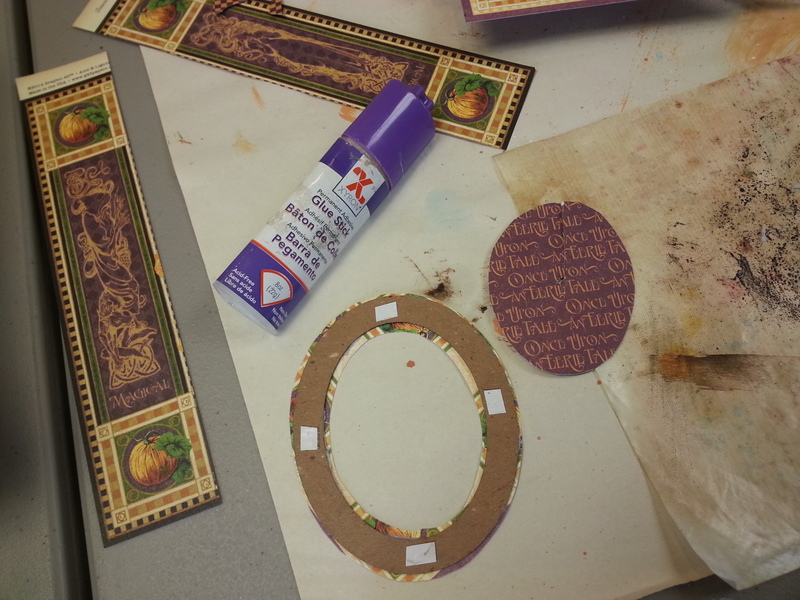 I covered a Globecraft DIY Ornament frame with paper and used my Xyron Glue Stick to adhere to the frame then sanded down the edges. There are so many beautiful papers and cut-outs in the paper pad to choose from, it was fun to play with placement and to decorate each little room. Dimension is added in the doll house rooms with matting and layers. 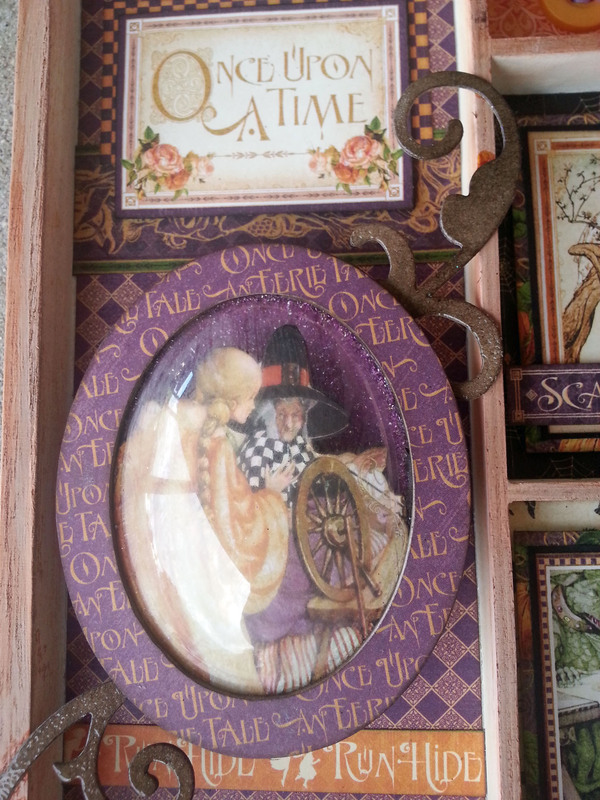 The globe holds a cut out from the papers and Art Glitter adds the sparkle in the background. 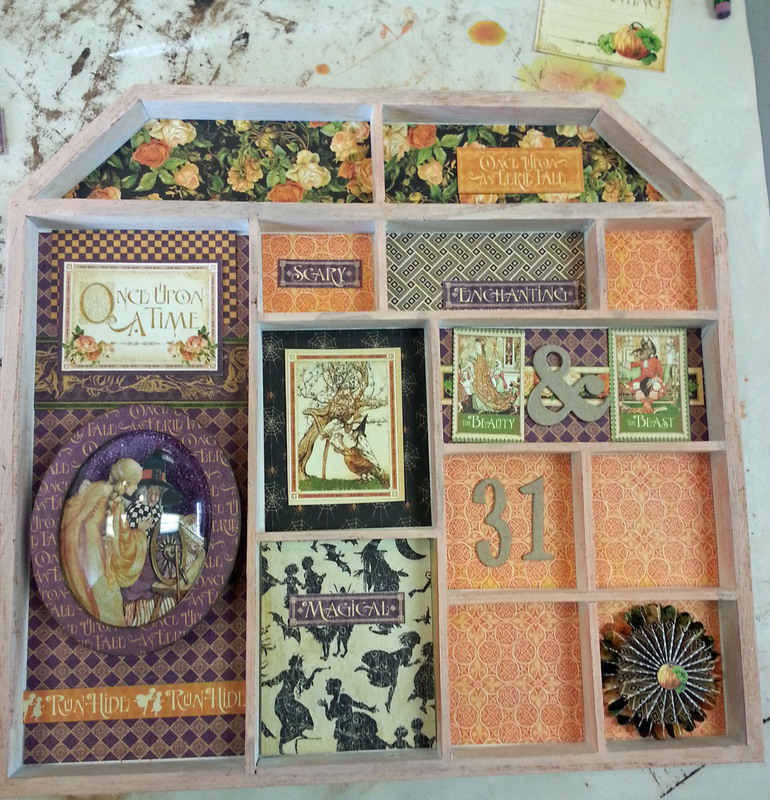 This Altered Doll House is fun to work in and An Eerie Tale paper pad is the perfect accompaniment. Register for this class at Green Door Studio by calling (810) 225-9190. Visit our calendar for more information. Linda, this is beautiful! Or should I say…BOOtiful? I love it! really like this Linda. Would be a great background for pictures with my one and only Blythe doll that I have. 🙂 Love halloween time with all the creepy but cool decorations you can make! great job! Too cute, in a eerie way, as always. Great way to celebrate a fun holiday.